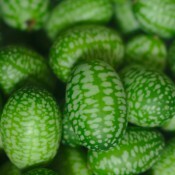 Cucamelon is an heirloom native to Mexico and Central America. 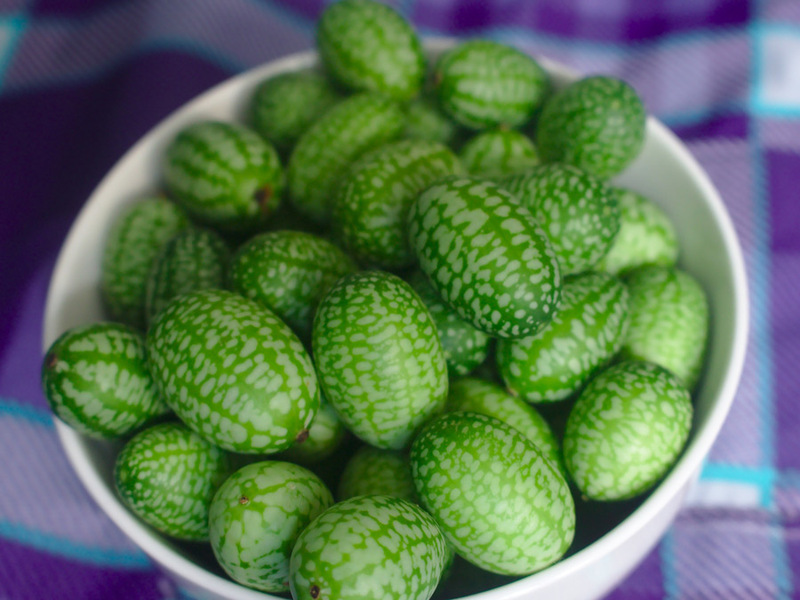 Looking like miniature watermelons with their distinct dark and light green stripes, these palm-sized fruits taste like cucumbers with refreshing citrus overtones. 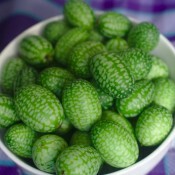 The crisp fruits can be eaten fresh or pickled. 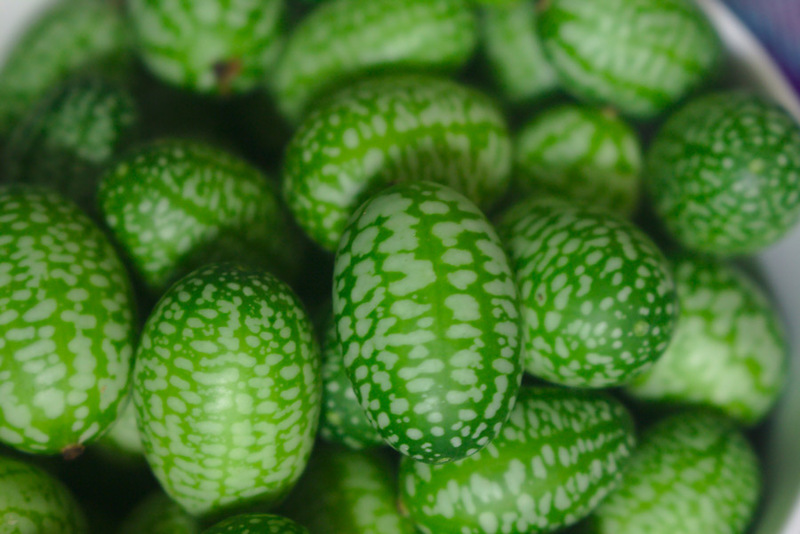 Growing cucamelons is similar to growing cucumbers but is much easier. It is a vigorous climber that will require sturdy trellising. The lush vines produce masses of fruit throughout the summer and will continue to fruit until the first frost. Drought resistant.